With new editor apps for Insta Stories appearing left right and centre, everyone is taking content creation to the next level. Insta Stories are continually evolving – becoming more creative, savvy, interactive and engaging by the day. Editing apps are like advertising agencies in the palm of your hand, making content creation accessible to everyone. Whether you’re a beginner or professional, it’s now easier than ever to design high quality Insta Stories via clever apps. 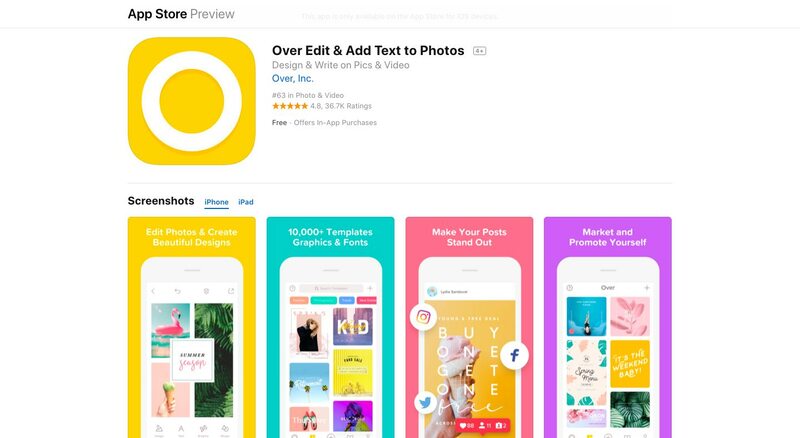 Once you’ve honed in on your ideal app (and its templates and tools), it’s easy to create designs that maintain consistent branding and engaging content for your Insta Stories. Canva is a graphic design app which uses a drag-and-drop format to edit images, offering hundreds of free layouts and styles. Canva’s suite of features make it easy to turn your Insta Stories into stunning final products in a matter of minutes. Simply search for the best graphics, photos, icons and fonts, then use Canva’s drag and drop tool to start creating. No matter what your next Insta Stories project is, Canva’s offerings make it possible for you to design and edit beautiful social media content. You can create stunning Stories with Canva’s suite of templates and photo editing features using the following tools: photo straightener, photo enhancer, image cropper, effects (fading, transparency, blurring, texture, vignette etc), photo frames, design grids, fonts, speech bubble maker, stickers and badges. 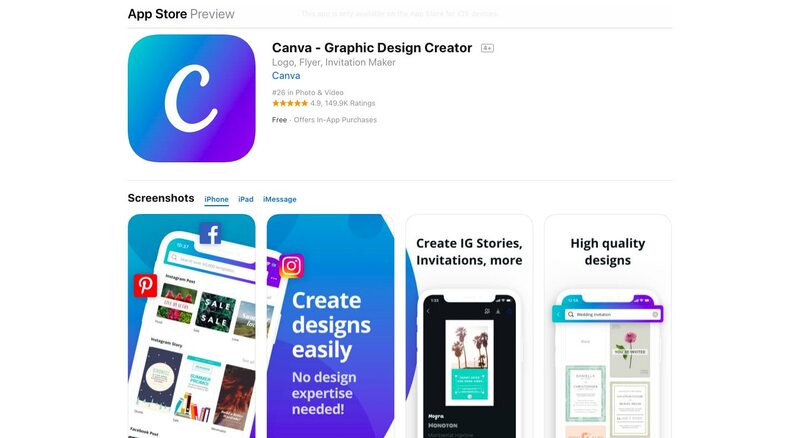 Canva is free to download for your iPhone or iPad or your Android mobile or tablet, however you have the option of subscribing to Images Pro, which gives you unlimited use of premium images and illustrations when using Canva. 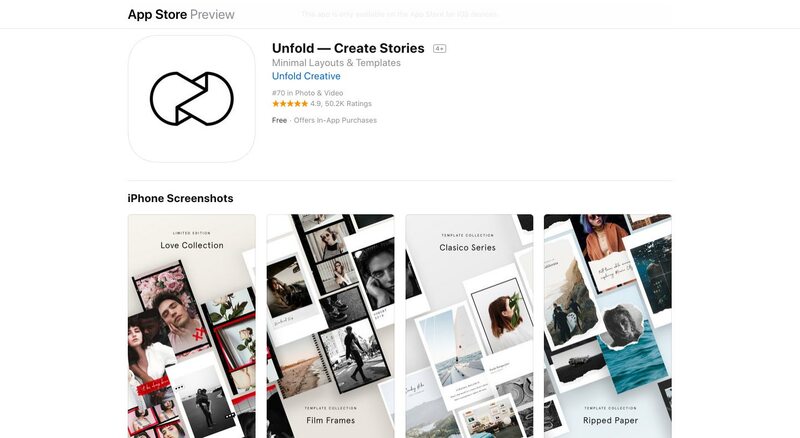 The developers of Unfold are passionate about storytelling and the iPhone app has quickly become a hit. This app offers a toolkit for storytellers to create beautiful and engaging Insta Stories, using elegant layout templates inspired by minimalism, print editorials, and film/analog photography. Upon opening the app you simply tap the screen to create your first Story, and then begin working on your layout using the clean modern templates on offer from various series. Unfold is free to download from the App Store, however some fees apply depending on the series you seek to access. For example, the Clasico Series (CS) is a collection of templates in which CS 1 is free, while CS2 and CS3 can be purchased for $1.69 each. The series that follow (Film Frame, Ripped Paper, Digital Wave) can be purchased for $3.49 each. Over want creating to be fast and easy, but most importantly they want it to be fun. 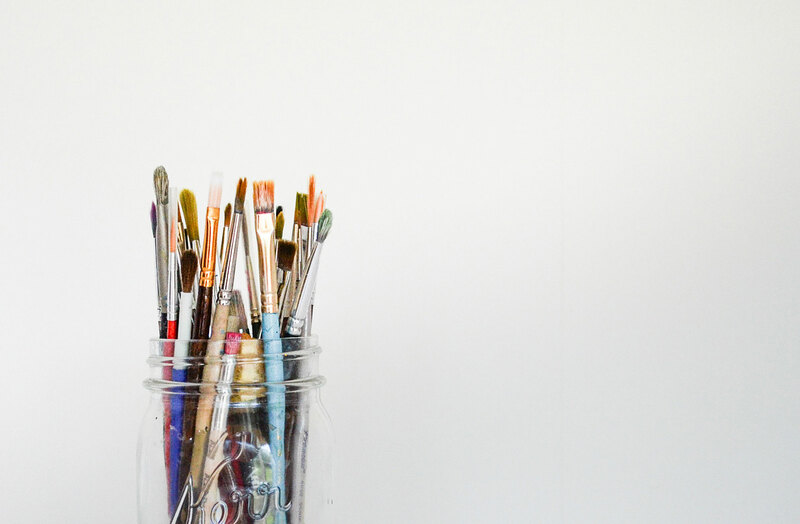 You don’t need to be creative to make beautiful content, you just need the right tools. With Over it’s easy to get started with the basics – you simply choose a background template and size, add an image, add text, and add graphics. There are also tutorials on offer to help you along, as well as hot tips on social media trends under Discover. Over is free to download for iPhone or Android, but if you want to get serious about your business and brand building, you may want to go pro. You can trial OverPro over a 7 day period and unlock millions of images, fonts and templates on a monthly plan. HypeType is a popular tool for Insta Stories, which lets you attach animated captions atop videos and photos. The app enables you to brighten your photos and videos with moving texts, and lets you (and your viewers) have even more fun with them. You can hype your Insta Stories with automatically styled and designed motion typography. You simply upload a photo or video, and add text graphics from the many animations and fonts to choose from. Don’t worry if you’re feeling short on words, the app is able to give you suggestions for memorable quotes. 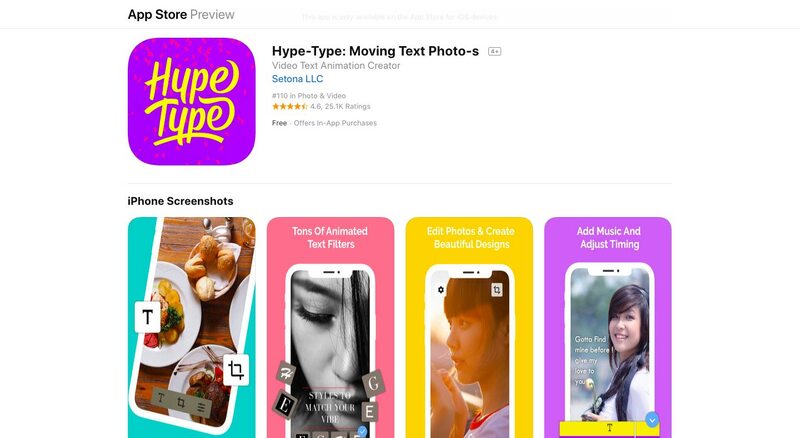 HypeType is a free iPhone app, but with a pro version via a yearly subscription, all ads and watermarks are removed. InShot is a video and photo editing app specially designed to make your content a perfect fit for social media, such as when posting Insta Stories. With InShot you can create a new video, photo or collage – as well as editing existing footage. You can change videos into various aspect ratios, enabling you to easily resize and crop to fit Insta Stories. This means great footage will never go to waste and you can easily share it with your followers via Insta Stories. 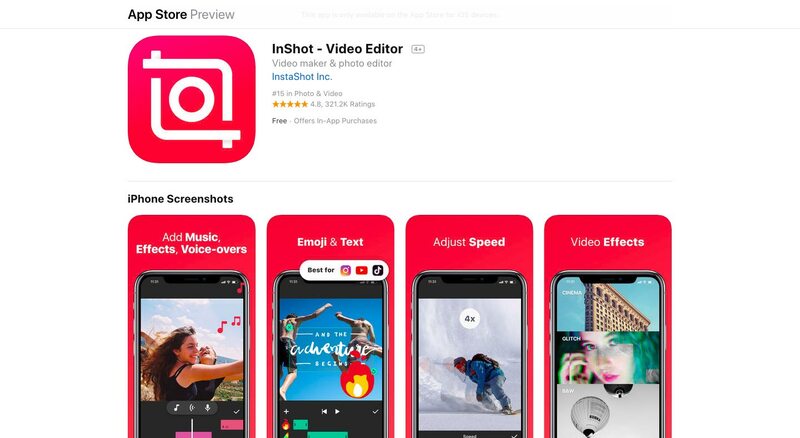 InShot is a free iPhone and Android app, however you have the option of purchasing InShot Pro, which gives you access to premium filters, effects and stickers without watermarks and ads. Have you used photo and video editing apps to create Insta Stories? If so, which do you rate most highly? Do you see and advantages or disadvantages in comparison to the default Insta Stories tools? I’m look forward to your feedback and tips, just leave a comment.